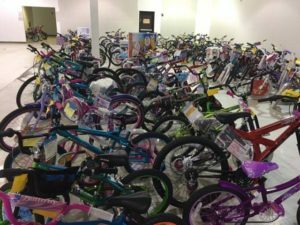 During the holidays a group of Dimmitt Insurance representatives spent the morning working at the Salvation Army for their annual Angel Tree Program. Through this program, The Salvation Army works to ensure that every child can experience the joy of new toys and clothing at Christmas. 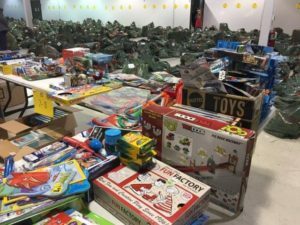 To help make this possible for thousands of children in need, The Salvation Army calls on the community to help provide the new toys and clothing that will be distributed to families in time for the holiday. One of our agents said,”It was such a great feeling being able to pack a bunch of presents into a shopping cart and help deliver it to families in need knowing that their children will be getting gifts this year!” The Dimmitt Insurance family is always looking to find programs like these to help our community grow and we can’t wait till we do it again next year.